As the summer draws nearer, more and more clubs leak photos of their new jerseys for the 2013-2014 season, hoping to create some buzz and excitement, thus improving their merchandise sales. 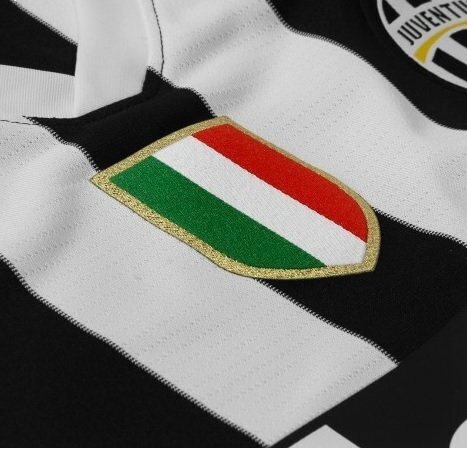 The next big club to go through that course of action are Juventus, who offer little change to their famous black & white stripes, although there is something famously missing. In Italy, every 10 Serie A titles are represented by a star above the crest. Here comes the argument. Juventus just won their second consecutive league title, and for the fans, and also for the club, it seemed like they were celebrating number 31. But the official count according to the Italian FA is 29, after Juve were stripped of their titles in 2005 and 2006. So who to believe? Juventus decided to avoid the controversy, and simply go without stars next season, hoping that once they win number 32 (or 30), it won’t really matter how much they have and add a third star, the only club in Italy to own a third one.